Present sweet dreams to your dear love through this e-card. Send a goodnight wish blended with love and affection. This goodnight e-card is available for free download, print or share. Download and share this e-card through social networking applications or through email. 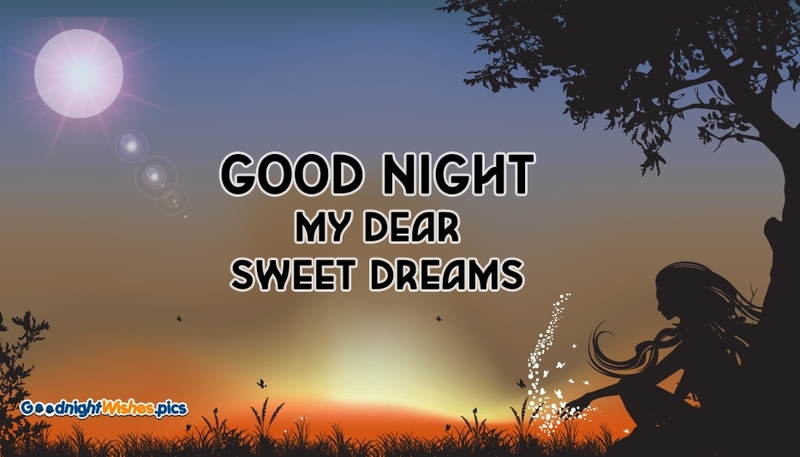 Share this "Goodnight my dear.. Sweet Dreams" e-card with your love and have sweet dreams.